Sincerity. It is perhaps not a word that springs to mind first when we think about highly successful and powerful business leaders but in today’s uncertain world there are things we need to be able to count on. Sincerity in our leaders is one of those things. The word sincerity likely has a number of definitions. To me, it is simply about representing ourselves genuinely, without guile or hypocrisy. And, like most worthwhile qualities, talking about being sincere is easier than actually living it. There are a lot of temptations out there…temptations to pretend we are more knowledgeable, more experienced, more skilled, more empathetic, more important, even wealthier than we really are. I know. We have our reasons for doing it but the truth is, most of them are self serving. And we all know by now that good leadership is rarely about us. So, not only must leaders be personally vigilant about their own sincerity, they must also be on the look out for it when they are choosing people for leadership roles or helping them develop leadership skills. In truth, it’s not that easy to spot. It requires us to look beyond the words for consistency and alignment of words and actions. I’m reminded of a time when I attended a function where sincerity, my own included, was notably absent. It was Christmastime and our organization participated in a number of activities to support charitable causes. Often, we would “buy” a table at a luncheon benefit with net proceeds going to the charity in question. On this one particular winter’s day, eight of us were walking from the office building to such a luncheon being hosted at an upscale hotel a few blocks away. We walked in a bunch; all well wrapped and well shod, happily chatting together about nothing terribly important. There were other bunches of business people as well, walking in the same direction and equally well dressed. About one block from our destination, we passed a man sitting on the sidewalk. His hair was long, as was his beard and he held in his hand a Styrofoam cup and sign that said something like, “Hungry, Please Help”. I suppose none of us will really know whether or not this man was representing himself sincerely but he was obviously not doing very well. My group and I, (engrossed in our conversation and barely noticing the man), walked past him. The people walking behind us did the same, with one exception. One man stopped long enough to look at the man and say, “Get a job”. On hearing this, I remember feeling ashamed of myself for not acknowledging the man and giving him something to ease the pain of his day. I remember too, feeling appalled and outraged by the other man’s “get a job” comment. It was an ignorant, throwaway remark that lacked any kind of compassion or decency. But we all moved on, in a hurry, not to be late for our important luncheon. We reached our table and seated ourselves. A few minutes later Mr. Get-a-Job and his colleagues also entered the room. The irony of this story became clear then. We were all there in support of the Salvation Army to help raise funds for the vital work they do to ease the lives of people just like the man we had seen sitting on the sidewalk… and so conveniently ignored. On that day, it was clear too, that although we were physically present at the luncheon, we had left our sincerity behind, choosing instead to focus on being seen to do the right thing rather than actually doing it. In today’s environment there is little time for this kind of posturing. We are being asked to step up and out of our pretenses. I’m working on it because in my book, sincerity in leadership, (whether we lead only ourselves or multitudes of others), is a pretty big deal. It’s that time of year again when we turn our thoughts to gift-giving. This post, from 2010, reflects on the more intangible, but often priceless gifts, we can give to each other. In particular it focuses on what I think humility looks like when it is in action. And, by the way, this post was inspired by one written by Mary Jo Asmus. Be sure to visit her blog before you finish here. It’s a gift in itself to anyone who aspires to lead well. 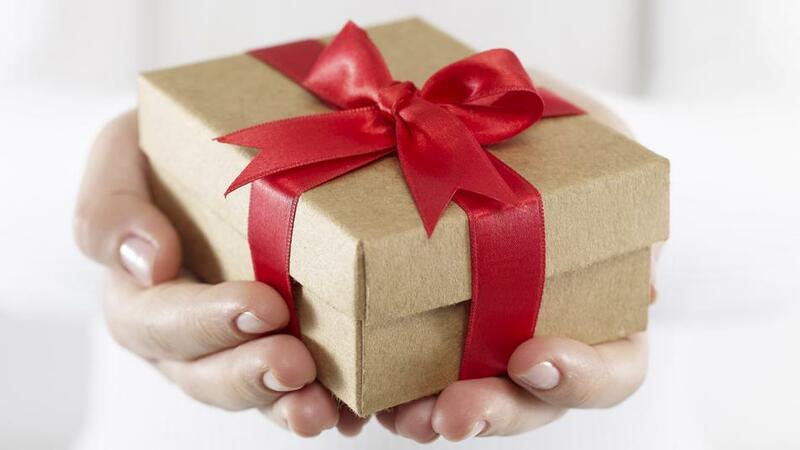 Some time ago, Mary Jo Asmus published a blog post entitled Giving Away Your Gifts. It served as a reminder, to me at least, that non-tangible assets, when shared, are indeed gifts to those who receive them. Mary Jo outlined a number of important gifts that leaders can give and then she asked us to think about other qualities that leaders might bring and apply at work. I suppose I could go off on some esoteric journey about the righteousness of humility (a journey on which I would no doubt find myself alone), but right now, I’m more interested in looking at some of its more practical aspects. Okay, all this sounds tough. And it is. It may appear Paradoxical, but I think that to be able to carry off true leadership with humility, we need a healthy sense of self-esteem, because then we can more easily find contentment and pride in allowing others to shine brighter, or more often, than we do. It is that, that makes it a gift. Many of you will have heard of Jim Collins. He advocates the combination of humility and will as being present in the most accomplished and effective leaders. Do we have to be captains of industry to give the gift of humility? The simple answer is no. Does it mean that we have to turn into someone like Charles Dickens’ Uriah Heep to be humble? Certainly not. But, it does take practice and sincerity. I’m still working on it. You? This post from February 2012 considers four essential leadership requirements, looking through the lens of a woman who, over the course of her life was both loved and hated… but will never be forgotten. Margaret Thatcher. This name means different things to different people. Some vilify her for her uncompromising approach. Others praise her for the same reason. Whatever side of the fence you may fall with respect to Mrs Thatcher’s time as Prime Minister of Great Britain, there is one indisputable truth. Margaret Thatcher was a leader. Margaret Thatcher was driven by an abiding purpose to preserve the British way of life and restore its reputation on the world stage. All else came in a distant second. For many, how she went about fulfilling that purpose remains the source of great controversy. Some people, who were negatively and personally affected by her decisions, may never forgive her for the change she brought to their lives. Others will hold her up without hesitation as Britain’s savior at a time of great turmoil and indecision. Regardless of the perspective, Mrs Thatcher seems to have always known what she was there to do and why it was important to do it. 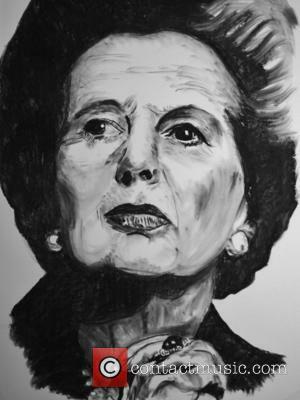 The courage required of a world leader, like Margaret Thatcher is the kind of courage that compelled her to stand up in the face of great opposition and fight for what she believed. Sometimes she fought alone. But, she did it anyway because it was important and because as leader, it was her job to take risks and make decisions others shrank from. The bigger the job the more exposed is the leader. When you make the kind of decisions that affect people’s lives, some will love you for it. Some will not. The business of leadership is not primarily about making friends. It is about challenging the status quo; helping others see what you see and changing something. It invites criticism and sometimes, treachery. No matter what you do, the decisions you make will not please everyone. Don’t waste your time trying. Some will love you. Some will not. In the end, it rarely matters. In times of doubt, be guided by your purpose. Be brave. Make change. Put strength behind your convictions. Challenge complacency. Invite participation, discussion and involvement. Know that rarely is anything about you. The movie showed Baroness Thatcher, as she was near the end of her life, not very well and suffering from dementia. Some have criticized the decision to show this. To me though, it illustrates only too clearly that power diminishes and when all is said and done, we are left with only ourselves. I think it safe to say that when we contemplate great leadership, in general, our thoughts tend to drift toward industry and government leaders, people who speak eloquently, act boldly and inspire in a larger-than-life kind of way. More and more though, I also think that many of us are expanding our vision of what it is to be a leader, to include people who, on first thought, might not fit into that traditional view. I think Barbara Ann Scott was one such leader. Ms Scott recently died at the age of 84 leaving behind a legacy of accomplishment and a gentle reminder that being nice does not preclude us from doing great things and inspiring others to do the same. 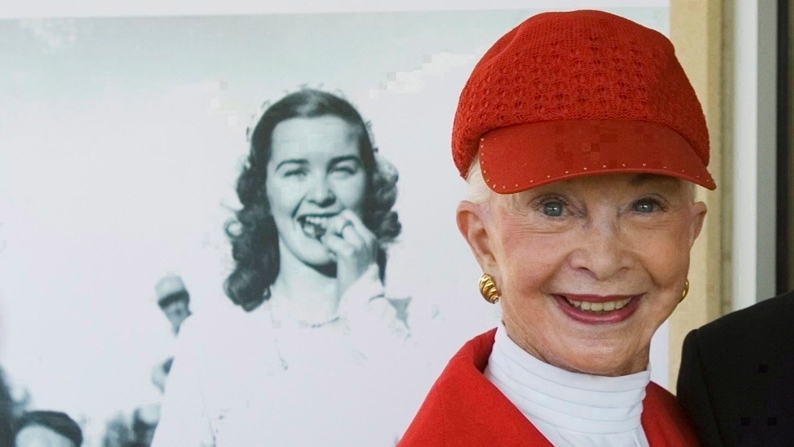 She was born in Ottawa in 1928 and from the age of seven, trained to be a world-class figure skater. 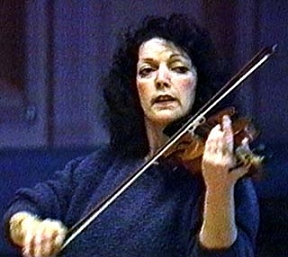 It is said that she gave up many of the pursuits of a typical young girl to pursue her dream. And, in 1948 was rewarded for her focus and hard work when she earned a gold medal in the Winter Olympics. It was also in that year that a proud and admiring country bestowed upon her the title “Canada’s Sweetheart”. Barbara Ann Scott stopped skating professionally after her marriage in 1955 and went to live in the United States. But she never forgot her roots, making many trips back to the skating club in Ottawa that had trained her so many years before. If you were to listen to her speak, Barbara Ann Scott would not strike you as a particular force to be reckoned with. Her voice was soft, almost childlike, but based on her accomplishments, her resolve carried with it the strength and maturity that some twice her size and three times as loud would be hard pressed to match. Boldness comes in many forms ~ I have been guilty of equating boldness with aggression but more recently am learning that leaders can be very bold when it comes to giving voice to their values, goals, and purpose without having to shout. Leaders like Barbara Ann Scott boldly do and then let their actions speak for them. Adaptability and focus are essential tools of leadership, no matter what the undertaking ~ In 1948, the Olympic skating rink was outdoors. This meant that the chances of the ice surface being ideal were not that good. When it came time for Barbara Ann to deliver her performance, some rough patches were noted on the ice that challenged her ability to skate the program she had rehearsed. So, at the last minute, and without fanfare, she changed the program to accommodate the conditions. It’s quite possible to lead and be nice at the same time~ Barbara Ann Scott accomplished many things in her life. She and her husband raised show horses. She made television commercials, authored two books and even ran a beauty salon. No matter what her prevailing passion, she was well known for being accessible to others, freely giving her time and energy so they might feel encouraged to keep going after whatever it was that inspired them. Humility really is a big deal ~ While Barbara Ann was highly lauded and well regarded, each time she made an appearance, she never failed to express her gratitude for the opportunities presented to her and doubtless never left a room without inspiring someone to be just like her.